The Internet of Things (IoT) is composed of sensor-embedded devices and machines that exchange data with each other and the cloud through a secure network. 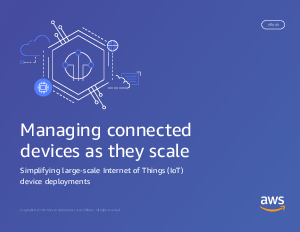 Often referred to as “things” or “edge devices”, these intelligent machines connect to the internet either directly or through an IoT gateway, enabling them to send data to the cloud. Analyzing this data can reveal valuable insights about these objects and the business processes they’re part of, helping enterprises optimize their operations. Devices in IoT deployments can span nearly any industry or use case. Each one is equipped with sensors, processing power, connectivity, and software, enabling asset control and other remote interactions over the internet. Unlike traditional IT assets, these edge devices are resource-constrained (either by bandwidth, storage, or processing power) and are typically found outside of a data center, creating unique security and management considerations.